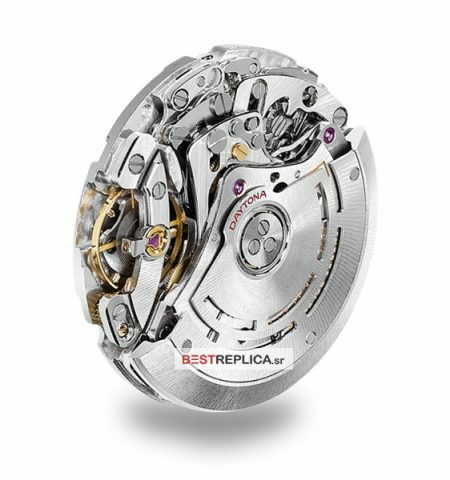 Solid 904L steel, thick 18 ct gold wrap with ClearDLC™ scratch-proof finish. 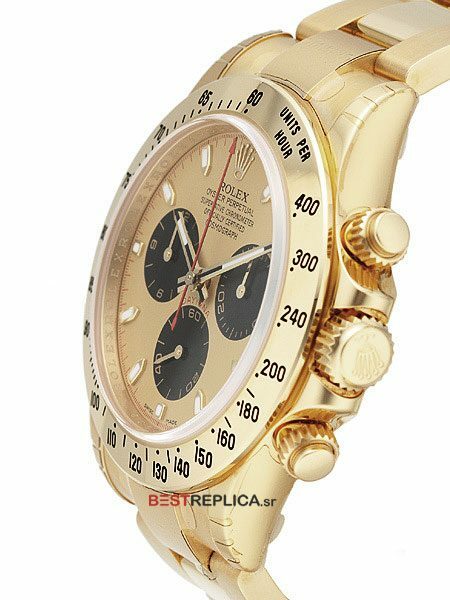 The Men’s Rolex Daytona Cosmograph Stainless and Gold is the latest on the market. 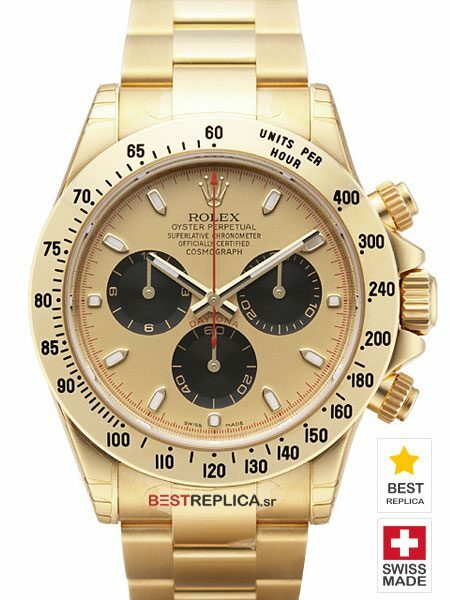 This Swiss Replica Rolex Daytona is a perfect copy and features automatic winding technology, chronograph, 44 jewel movement, sapphire crystal, and stainless steel case with 18k yellow gold engraved tachymeter. 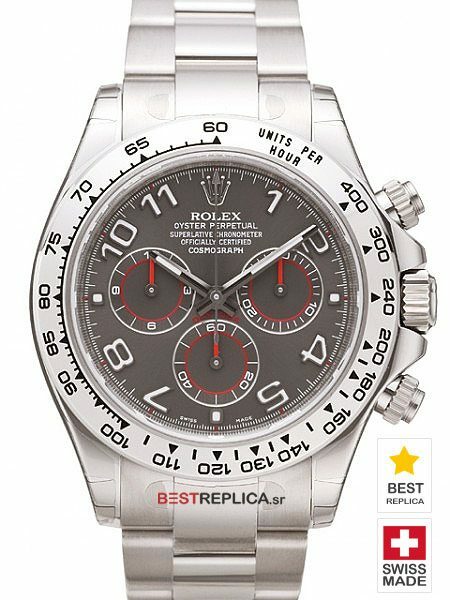 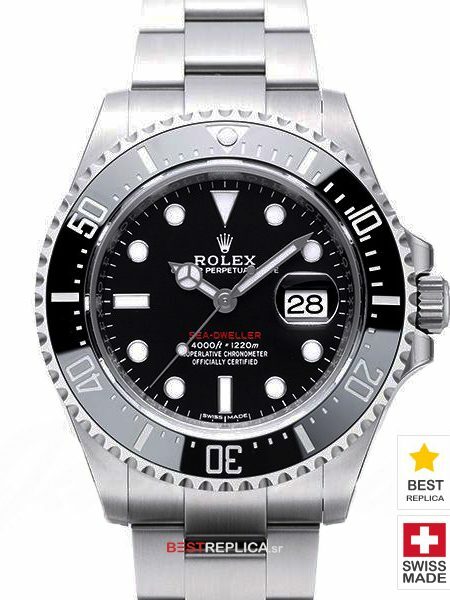 Whether you are a Daytona race fan, professional race car driver, or simply a life adventurer, you will be thrilled when you place this Rolex Daytona on your wrist. 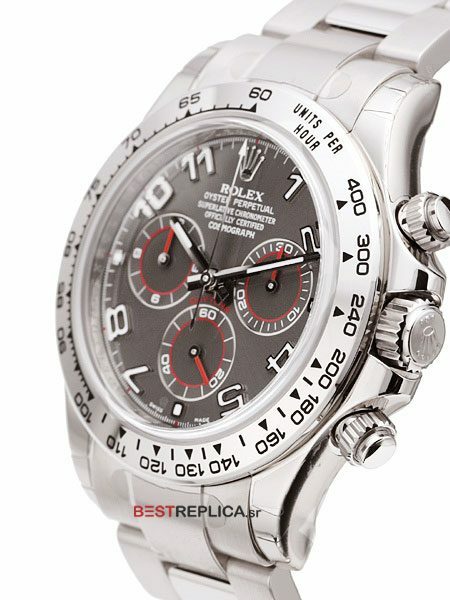 The Rolex Daytona is a favorite of Rolex watch collectors around the globe for a number of reasons including its degree of rarity, high-tech feature set, and ruggedly handsome design.